JetBox™ is an all-new servicing system that uses a water jet technique that chemically-cleans both the indoor and outdoor unit of your air-conditioner. The result is a far cleaner air-cond with improved cooling and energy efficiency, along with lower breakdown risk. Method Manual wash and rinse using plain water. 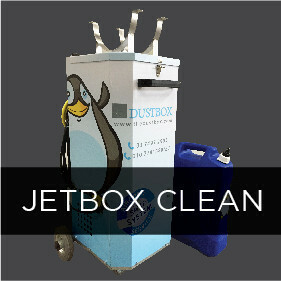 JetBox™ power cleaning technology with chemical cleaning agent. Full or partial dismantling to wash and rinse with chemical cleaning agent. 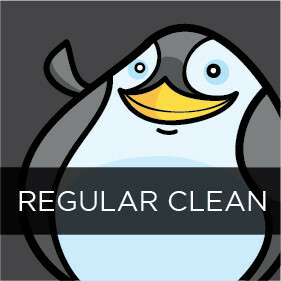 Clean Rating Remove light dirt on surface area. Remove tough dirt on inaccessible areas. Eliminate fungus, germs, and bacteria. Remove tough dirt on inaccessible areas. Eliminate fungus, germs, and bacteria. Gas Refill Minimum gas top-up. Minimum gas top-up. Full gas top-up required after assembling the parts. Odour Elimination Does not eliminate odour. Eliminate odour completely.